Providing you the best range of polyurethane wheels, solid polyurethane wheels, polyamide caster wheels, pol caster wheels, medium duty caster wheels and caster wheels with effective & timely delivery. 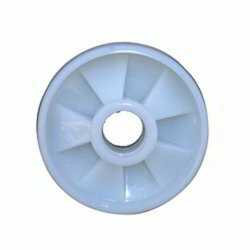 We are one of the widely acclaimed manufacturers and suppliers of Polyurethane Wheels. The offered polyurethane wheels are specially designed for the roller coaster rides. Our supplied polyurethane wheels are highly liked, due to the ability to increase the ride efficiency for roller coaster. The offered polyurethane wheels are very affordable. Our company offers an exclusive range of Solid Polyurethane Wheels, which are connected to a better impact polyamide or polyolefin core. These products are used in various hotels, hospitals, pharmaceutical industries and food industries. Our products are highly appreciated for their precise engineering. Over the rough surface, these products give smooth rides. Further, these products are also utilized in textile carts, shopping carts and laboratory instruments. 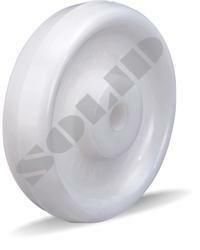 We offer a wide assortment of Pol Caster Wheels (Series 513 - Polyurethane On Nylon/ Polyolefin Wheel, Universal Shape). The product is fabricated from finest quality of raw materials with Nylon Core to provide maximum durability and long service life. Used in various industrial uses, these are highly acknowledged for its specific design, toughness and standard performance. Available in wide range of models, we also undertake customization of these machines. 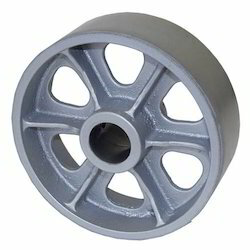 With wide and rich industrial experience, we are offering Medium Duty Caster Wheels (Polyolefin Caster Wheel). Manufactured using latest technology and sophisticated machinery, these wheels are of world class standards. Able to perform various applications with highly efficient and quiet manner, these wheels are apt for sectors like hospitals, hotels, shopping carts and laboratories. Our wheels are available in various sizes with highly competitive price. 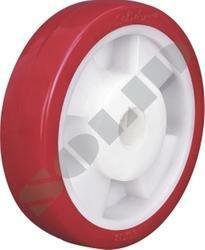 We provide Caster Wheels (Series 583 - Polyurethane On Nylon/ Polyolefin Wheel, Iimperial Shape). 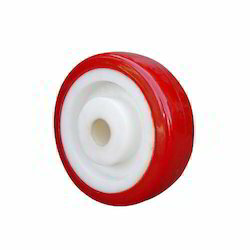 We are engaged in manufacturing and supplying of a varied assortment of Institutional Caster Wheels (Series 583 - Polyurethane On Nylon/ Polyolefin Wheel, Imperial Shape) with Imperial core shape. Fabricated using highest quality raw materials, these low maintenance wheels are immensely durable and reliable. With Nylon core and tremendous performance, these are very cost effective as well. Customization of these wheels is also available. We stand as one of the leading manufacturers of Medium Duty Wheels, manufactured from superior quality special thermoplastic material which is light in weight and also easy to clean with steam and water. With temperature ranges from -20F to 180 F, these wheels are available in different core and tread designs with durometer: 65-70 D. We make these wheels by using latest technology and methodology. Customers can also enjoy customization of these wheels according to their specific needs. 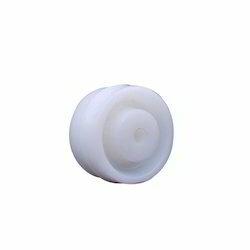 Our organization is involved in manufacturing and supplying a wide range of industrial wheels which includes Polypropylene Wheel (Series 807 - Polypropylene Copolymer Wheel, Curved Tread). These are made using supreme quality raw materials with the help of advanced technology, which ensures its durability and high performance. Made in our state of the art manufacturing unit and quality tested at each stage of production, these wheels are highly strong yet quiet. We offer an optimum quality range of Cast Iron Wheels for Carts which are used in different industries. These products are manufactured using high class casting and are available with freeness from the blow holes. Our products are available in different shapes including flat, flange groove, V groove, round and Sq. groove. We offer these products in an economical manner to our clients.